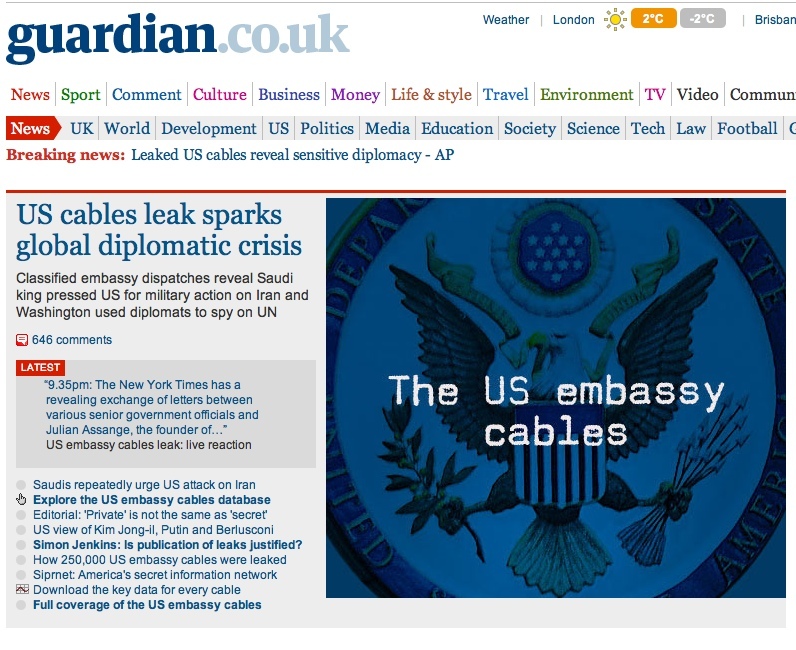 Sarah Palin – President of the United States? If the above scares you then you’re not alone. One the many reasons why the majority of Europeans have had such favourable view of Barack Obama is likely to be because the alternative involved Sarah Palin being a heartbeat away from the presidency. Right from the moment she literally came from nowhere to be Republican vice presidential candidate in 2008 stories have emerged that have been laughable, disturbing and downright scary. Any politician subject to as much ridicule as she has been should surely be kept well away from the White House. If Sarah Palin can’t even tell you what newspapers or magazines she reads, would you really trust her with the nuclear launch codes? But the US is a strange and wonderful place and Palin commands a strong support base aided by the influential but disjointed Tea Party movement. Much of it and Palin’s supports stems from the growing and in some cases justifiable disillusionment with President Obama two years into his presidency. The hope and rhetoric that catapulted him into the White House after a historic election has drained away as Obama has found himself immersed in the same old Washington game he promised to change. The result is that next week Republicans are likely to have taken control of the House of Representatives. They could even take the Senate although this is unlikely. In the same way that the Democrats taking control of both houses in 2006 turned George W. Bush’s final two years into a “lame duck” presidency next week’s changes could harm Obama’s next two years as well as his re-election chances. This is where Palin enters the overcrowded field of 2012 Republican presidential candidates. Some argue she won’t run but she has taken the steps normally associated with a presidential bid such as forming a political action committee, meaning its worth considering the possibility she might. 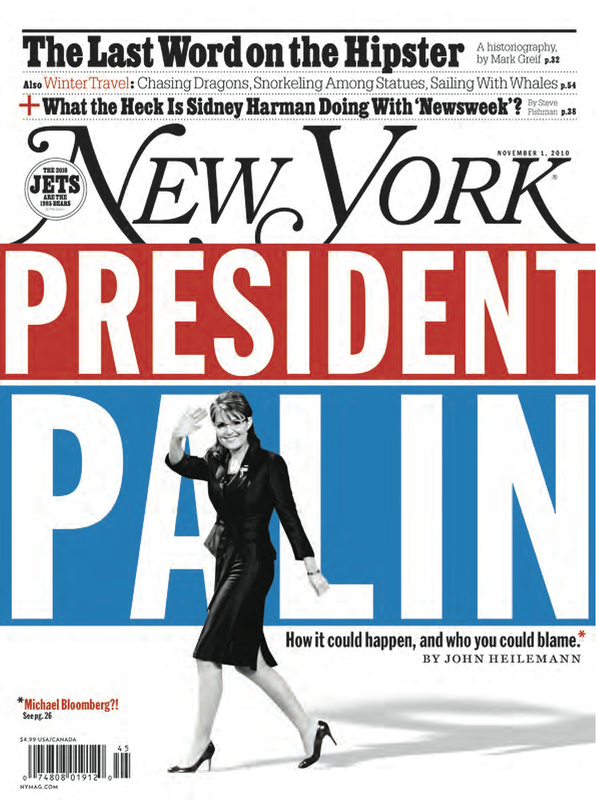 In this week’s New York magazine, political author John Heilemann, does just that as well going further and outlining the way in which Palin becomes president. It relies heavily on the idea that Michael Bloomberg, the independent but fabulously wealthy mayor of New York, makes a run as an independent in 2012, splitting the vote three ways, meaning no candidate takes the magic 270 electoral college votes needed to win the presidential election. In such situations, the decision falls to the House of Representatives as to who becomes the next president. With this likely to pass into the control of Republicans after the November 2 mid terms that would open the door to a President Sarah Palin. And suddenly the fate of the world rests in the hands of a woman who cites an example of her foreign policy experience as having once governed a state that’s quite close to Russia.